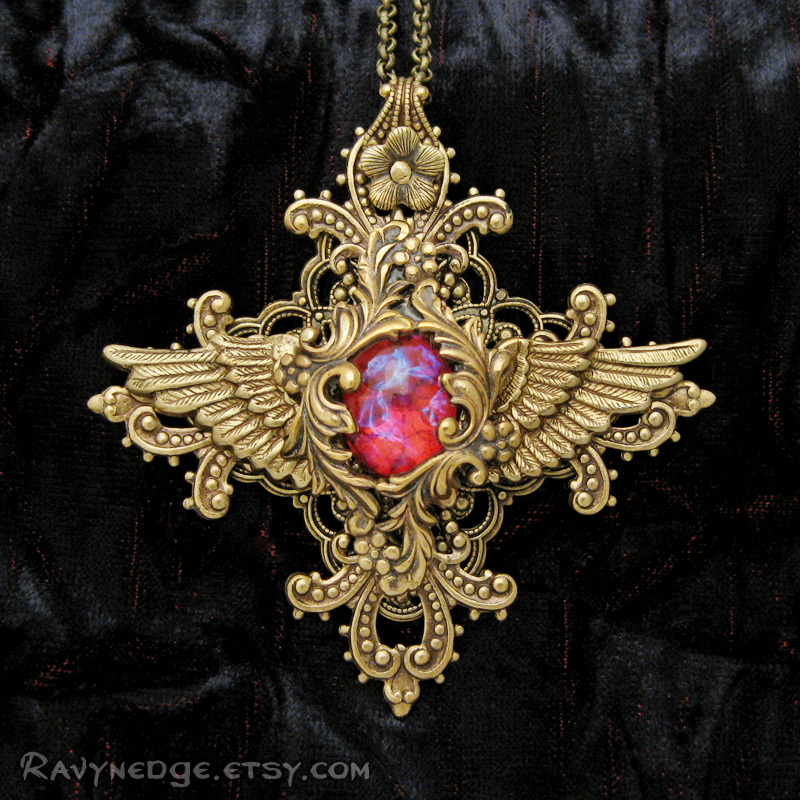 Regency Cross Necklace - Winged Cross Filigree Pendant by RavynEdge. The Regency Cross, named for its royal-like elegance, will surely become a treasured piece in your collection. 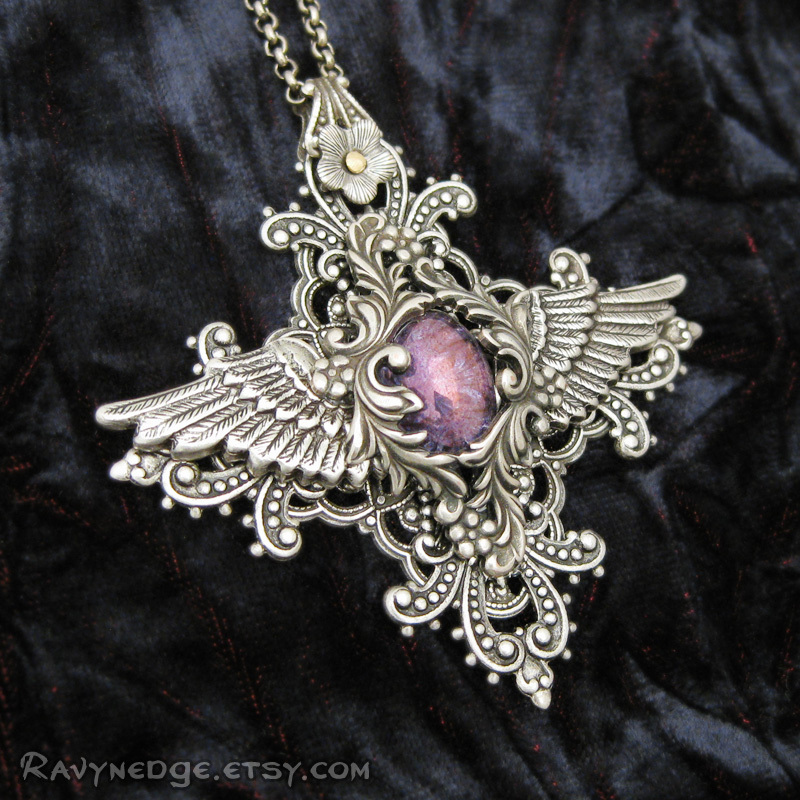 Sweetly detailed wings and layers of filigree surround a gorgeous glass cabochon. This piece was made to impress. 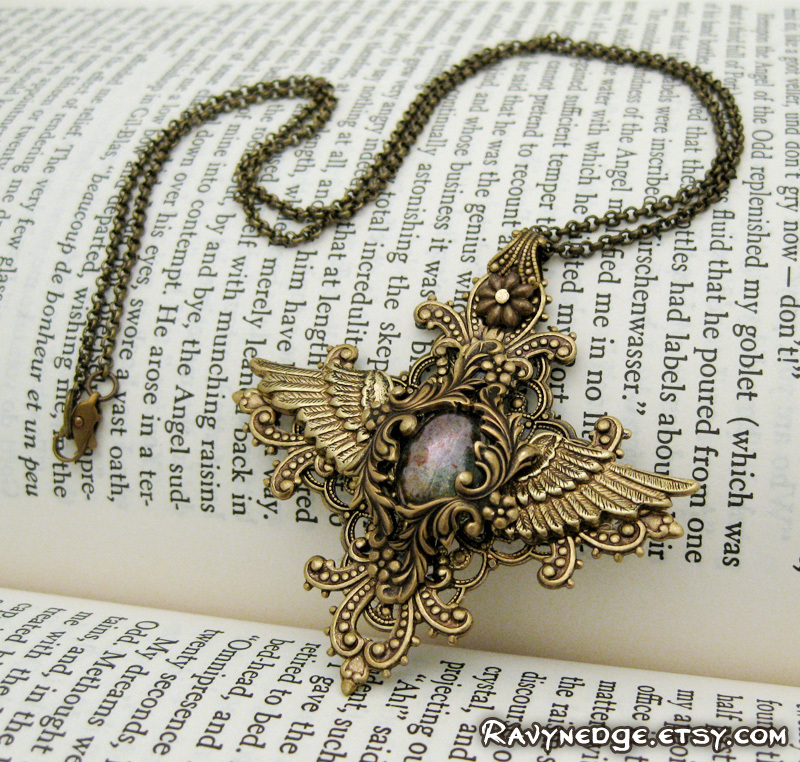 Looks equally amazing on a man or a woman. Wear it with a costume or for an everyday fashion statement! The pendant measures approximately 2.28in (58mm). 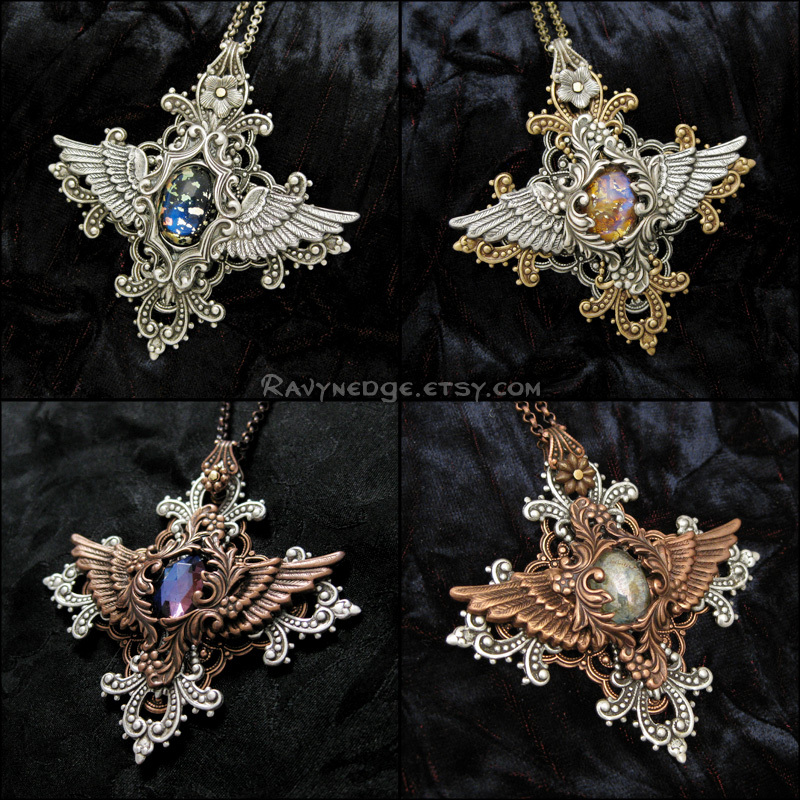 All metal is brass, sterling silver plated brass, or copper plated brass. 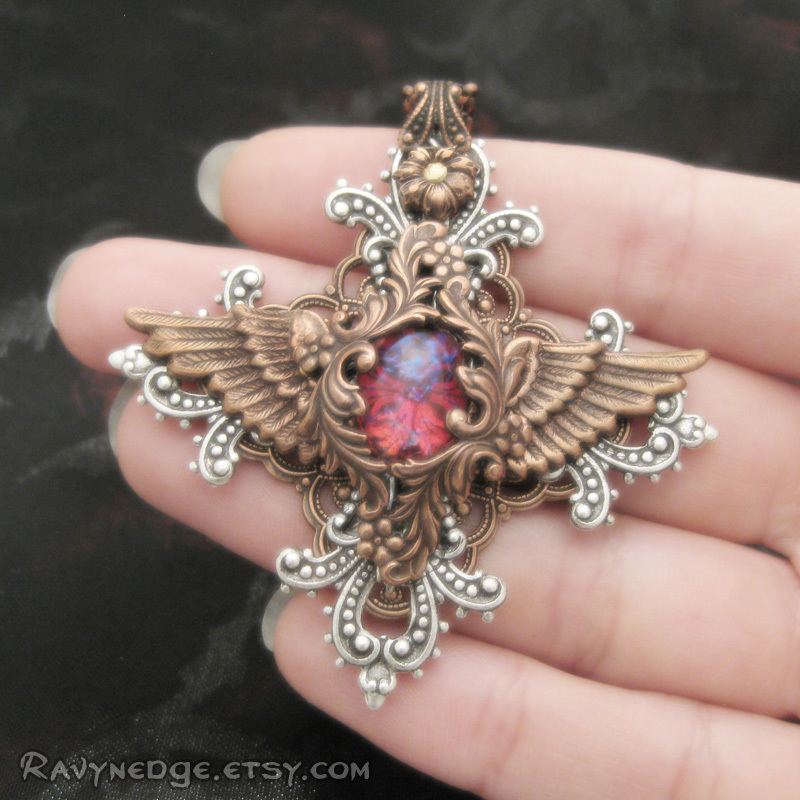 Shown in purple luster, dragon's breath, green luster, blue glass opal, topaz glass opal, and meridian blue rauten rose.